Last Tuesday and Wednesday, the JavaLand conference took place in the Phantasia Land theme park in Brühl, Germany. It was my second stay in JavaLand but this year I attended it for the first time as a speaker. And I enjoyed. The talks went well and I got some interesting questions from the audience. But more about that later when I get into more details about the talks. OK, I wrote in the beginning that the conference took place on Tuesday and Wednesday. So you might wonder why I start on Monday. It’s pretty simple; I travelled to Brühl on Monday to attend the speakers dinner and to work with Mark Struberg on our “CDI 2.0 Deep Dive” talk. And don’t worry, we finished before dinner and had some time left to enjoy the evening! The Tuesday was extremely busy. I gave two talks and spent the rest of my time in the Early Adopter Area together with several others involved in some Java EE specifications. The day started in the Early Adaptor Area with a NightHacking session and presentations in the early adopter area about hot new features in Java EE 8. Mark Struberg and I attended for CDI 2.0 and there were several others, like Ivar Grimstad, Christian Kaltepoth, Anatole Tresch, Sebastian Daschner and Heather VanCura, who talked about JSON-P, MVC, JMS, and Tamaya. I did my first talk at JavaLand together with Mark Struberg (@struberg) about the upcoming changes in CDI 2.0. This was also my first talk ever as a co-speaker, and I have to admit that I was a little nervous. But there was no need for it. Giving a presentation with Mark is easy, and it went very well. the adoption of Java 8 language features. After this talk, I took a little break to relax and prepare for the final task of the day: my talk about Hibernate performance tuning. I felt pretty comfortable when I went to the Schauspielhaus around 4:45 pm to give one of the last presentations of the day. 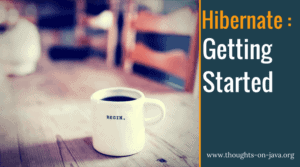 I talked several times about Hibernate performance tuning during the last 8-9 months and even have a full online training about it. So I had no worries about the topic or the talk itself. The only thing I was wondering about was the timeslot and how many people would show up for the last talk of the day before they spent their evening with free food, beer, and roller coasters. But the topic was quite popular and there was no reason to worry about speaking in front of a huge and empty room. It was the complete opposite. The talk was very well attended. Thanks to everyone who joined me after a looooong day! how to use caching to not read the same data multiple times. Alex Soto’s talk about vault: “Secrets are secrets. Please, keep them!”. He talked about the problems you get if you are automatically starting new microservice containers which have to authenticate themselves. There is no user interaction involved, and you obviously don’t want to store the usernames and passwords in your docker file. You need a different approach to store the authentication information and Vault seems to be a good solution for it. And there was another highlight in his talk. He gave away a few digital copies of his book Arquillian in Action, and I got one of them. Thanks a lot, Alex! I also liked Holly Cummins talk about microservices: “Microservices: From Dream to Reality in an Hour”. She talked about the advantages and challenges of microservices and was brave enough to try a live demo with several raspberry pis. There was nothing really new in her talk (and I didn’t expect it), but I liked the way she presented it and that she also talked about the challenges of microservices and not just about the good parts of it. Another interesting talk was David Delabassee’s talk about the current state of Java EE 8: “Java EE 8  The Foundation Is Here!”. He gave a good overview of the different topics that will be part of Java EE 8 but, unfortunately, he didn’t provide any information about the timeframe. As you might have heard, the progress on a lot of Java EE 8 specifications came to a hold at the end of last year and a lot of developers are wondering if and when Oracle will continue it. JavaLand, I will be back! OK, that’s all about this year’s JavaLand. I already enjoyed it last year but attending it as a speaker was even better. I will definitely submit some talks for the next year and will also attend the conference if none of them gets accepted!